We are a leading service provider for the Bevel Cutting Plasma. With the assistance of our professionals, we are engaged in offering service of Bevel Head Skew Rotator Infinity. 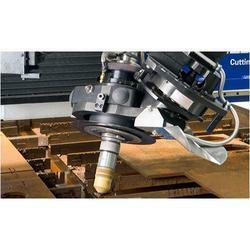 Our cutting service is highly reliable & tool use for executing service has quick torch focal point adjustment & unlimited c axis rotation. This cutting service is executed as per industry norms by our professionals who have vast knowledge. Looking for Bevel Cutting Plasma ?